Do you have old photos of your grandmother on her wedding day? Or maybe you have some beautiful photos of your baby daughter? 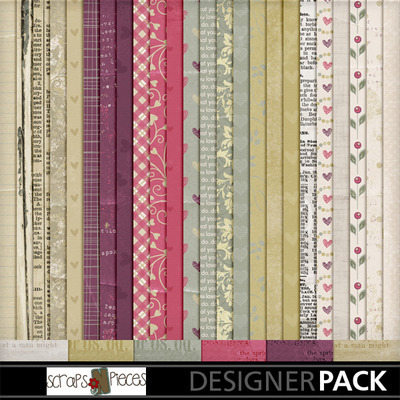 This kit can be used to scrap love, old and new! The colors are soft and feminine with a touch of brightness. The elements include both modern and antique pieces so you can scrap any era.